GRAND RAPIDS, Mich. – To celebrate Earth Week and highlight its commitment to corporate responsibility, SpartanNash today announced its slate of Earth-friendly initiatives taking place companywide April 16-23. “At SpartanNash, we love Earth Week, because it allows us to engage and educate our associates, store guests and communities while celebrating and promoting environmental stewardship,” said Meredith Gremel, vice president of corporate affairs and communications. For the eighth consecutive year, SpartanNash is teaming up with Goodwill Industries partners to hold Earth Week donation drives for customers and associates. In total, SpartanNash is partnering with 19 Goodwill organizations across 15 states. Working with Goodwill organizations in Michigan, Minnesota, Nebraska, South Dakota and Wisconsin, customers who bring in donations to any participating Goodwill store on Saturday, April 21 or Sunday, April 22 will receive a coupon book. The book includes coupons for organic milk and cleaning products – as well as a coupon for $10 off a $25 or more purchase, redeemable at Family Fare Supermarkets, D&W Fresh Market, VG’s Grocery, Econofoods, Family Fresh Market or any of SpartanNash’s more than 140 corporate-owned stores. Since 2011, SpartanNash associates and store guests have diverted more than 211,500 pounds of materials from landfills, and Goodwill has converted these donations into 45,355 hours of workforce development training for people in their local communities. 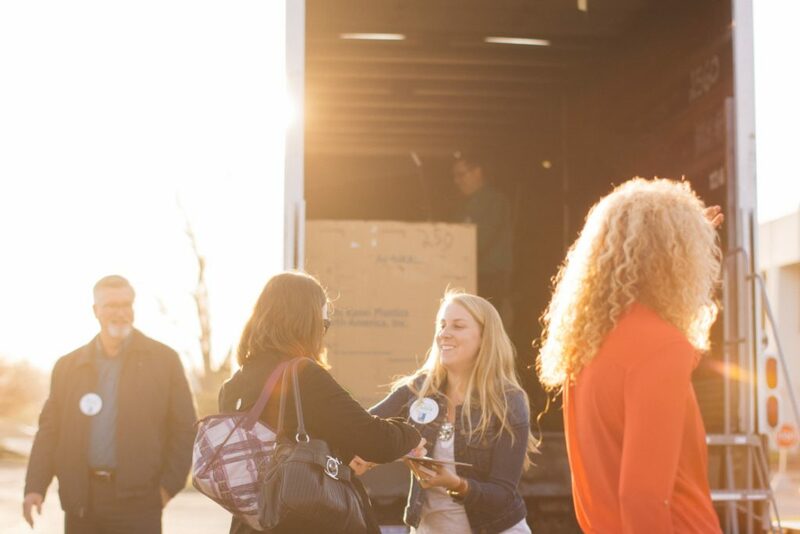 SpartanNash’s distribution centers in Florida, Georgia, Indiana, Maryland, Minnesota, North Carolina, Ohio, Oklahoma and Texas; along with the company’s four service centers in Grand Rapids, Mich.; Minneapolis; Indianapolis; and Norfolk, Va. are also partnering with Goodwill organizations to host onsite donation drives as a part of Earth Week programs designed for SpartanNash associates.